The Sumerian city-state of Lagash in what is now south-eastern Iraq, boasted one of the oldest settlements in ancient Near-East. 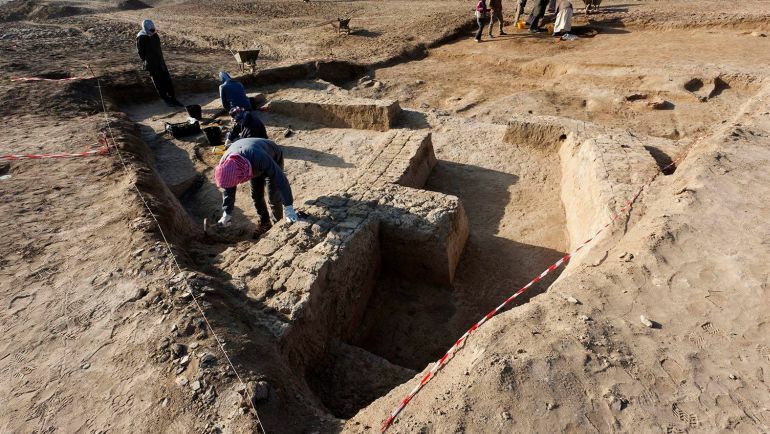 And now archaeologists have found further evidence of the realm’s affluence and influence, at the site of ancient Nigin, which formed one of the three main cities of the Lagash state. 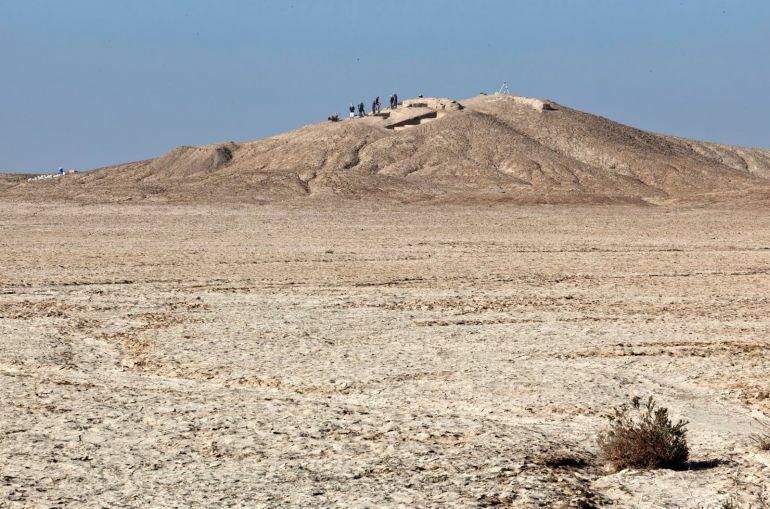 To that end, Italian researchers in a collaborative effort from Sapienza University of Rome and University of Perugia, have discovered a set of structures at the Tel Zurghul site (denoting Nigin), as a part of their second excavation project in the proximate area. In a short recap, the first excavation done in 2015, already revealed that the site in question harks back to around 5000 BC (Ubaid Period), corresponding to the prehistoric epoch in Mesopotamia. The population then continued to flourish, thus leading to a well organized settlement that was formed by 4000 BC (Late Uruk Period). And it was the center of this settlement, designated as Mound A (by the researchers), that revealed a temple dedicated to Nanshe during the second excavation conducted in 2016. In Sumerian mythology, Nanshe was the daughter of Enki, and was portrayed as a goddess of prophecy, fertility, water and fishing. In that regard, a bevy of cuneiform inscriptions found in various sites in Lagash (including Tel Zurghul), have indeed provided evidences of Nanshe depictions (and literature mentions) in the region. Additionally, the archaeologists also found a set of structures in the section designated as Area A, located at the foot of a hill that leads to the center of the settlement. The building dating from circa 3000 BC, was constructed from unbaked adobe bricks, and consisted at least three separate rooms. These rooms were probably used for storage, as hypothesized by the discovery of well-preserved intricately-painted jars inside the structures. 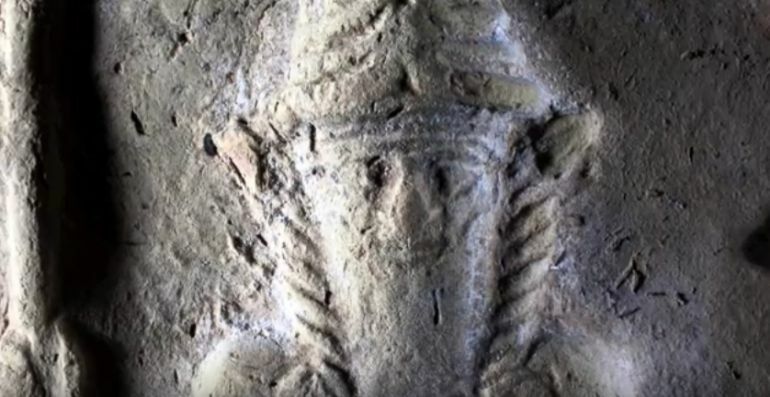 And finally, the (arguably) most interesting find pertained to clay plaque that depicts a mythological being with a bull’s body and a man’s head (sort of reverse of Minotaur) – pictured above. This entity is sometimes referred to as Lamassu, though the term itself is confusing with its various iterations found in Mesopotamian culture (including the later Akkadians and Assyrians). In any case, in Sumerian mythology, the divine being with its apotropaic nature was tasked with opening the gates of heaven.